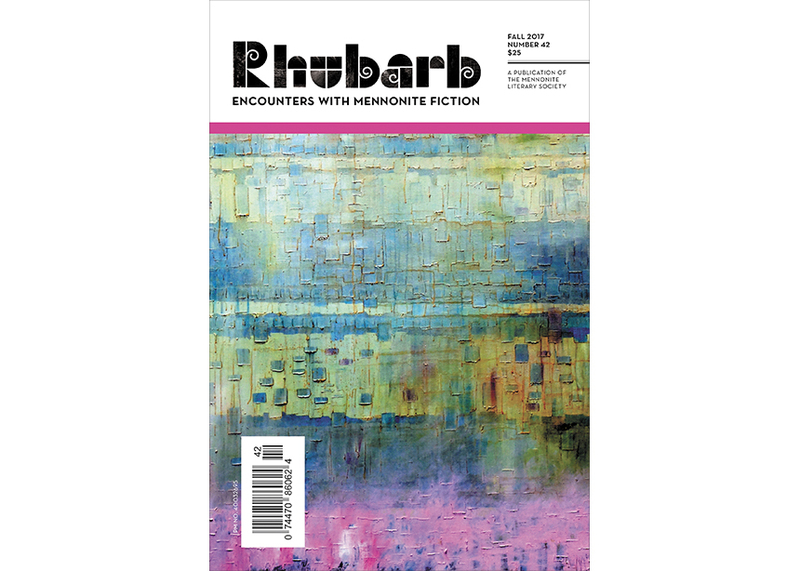 Rhubarb, which published 42 issues starting in 1998, notified readers last November that the magazine’s 19-year run had come to an end. In a phone interview, Victor Enns, who had been a central figure in the history of the Manitoba-based publication since he and his brother Garry laid the groundwork for it in the 1990s, mentioned three factors that led him to step back: a desire to finally prioritize his own writing, the perennial financial struggles of the project, and personal health complications. No one else took his place. Hildi Froese Tiessen, who taught English at Conrad Grebel University College for 25 years and guest edited the final issue of Rhubarb, says literary journals are almost always poorly funded and driven by passionate, hard-working individuals who “eventually run out of steam.” Like everyone I spoke with, she is unrestrained in her appreciation of Victor Enns and the others who gave so much of themselves to the project. The culmination of Rhubarb’s run is a 2017 trilogy of attractive book-format anthologies covering the period of 1962 to the present. The earlier date was when Rudy Wiebe’s novel Peace Shall Destroy Many was published, arguably inaugurating a certain era of Mennonite literature. At the launch of the first issue of Rhubarb at the Winnipeg Art Gallery in 1998, Wiebe spoke about the tensions that surfaced in Mennonite circles following the publication of his contentious novel about the underside of pacifism. Wiebe’s book, like much Mennonite writing after it, had raised thoughtful questions about Mennonite beliefs and culture in a literary format and a public venue, uninhibited by the conventions of Sunday morning. Despite pockets of volunteer passion, creative input and financial support, Mennonites didn’t embrace Mennonite writers the way others embraced them, or the way Mennonites embraced their musicians. And, as Paul Krahn—co-editor from 2003 to 2011—says, many Mennonite writers really wanted to be published outside Mennonite circles. Rhubarb had picked up where The Mennonite Mirror left off, inheriting a charitable number and an interest in Mennonite culture and creativity, though, as Garry puts it, with more of an eye forward than back. To be clear, in this context “Mennonite” refers essentially to a group marked by a particular set of surnames. Rhubarb identified as Mennonite and secular, unrestrained by religious propriety. “I like the idea of Mennonites thinking on a certain subject without it being a religious publication,” Victor says. Those winners of prestigious awards are not likely to be sitting in a Mennonite church pew, with some exceptions. Nor were people in the pews likely to be reading Rhubarb. Many Mennonite writers feel the church was an oppressor, Krahn said. They felt they needed to get away from church to be artists. But you cannot entirely pull up your own roots. “I’ve often written out of my own specific world,” says Dora Dueck, whose work has appeared numerous times in Rhubarb. “You don’t stop loving the people who harmed you,” she says, speaking about church experience in general not specific events of overt harm. 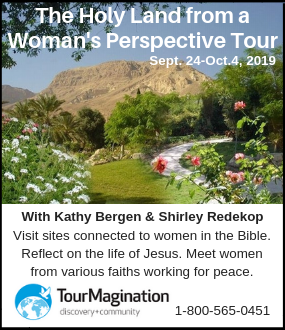 She talks about telling herself in one moment that she doesn’t care about troubling realities in the Mennonite church and in the next moment admitting that she does indeed care. These tensions, in Krahn’s view, are the essential grist for the creative Mennonite mill that has churned out a disproportionately high number of accomplished writers. Victor Enns adds to the list of creative tensions that pull between the strong Low German barnyard oral tradition and the strong Sunday morning oral tradition. 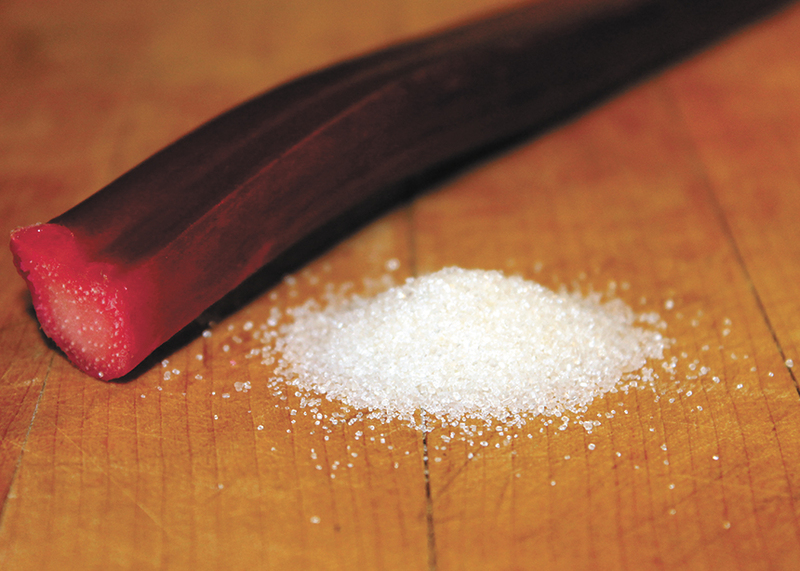 As fewer and fewer Mennonites come to know the sweet tang of raw rhubarb dipped in sugar at Oma’s kitchen table, the literature changes. 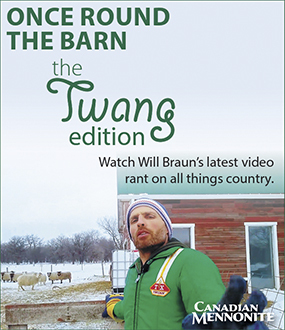 As we blend into urban Canadian culture, the tensions will be different. Less distinct perhaps. Garry says the Mennonite Literary Society, the legal entity that published Rhubarb and The Mennonite Mirror before it, will remain alive, should anyone wish to revive it in some form. But Rhubarb magazine is no more. 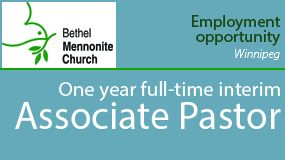 The publication, named so brilliantly for a tough, adaptable plant that Victor said could grow almost anywhere Mennonites could and was an important part of Mennonite diets in hard times, and which Garry characterized as “hardy but a bit sour”—the “perfect symbol of Mennonite culture”—did not survive the winter of 2017-18. As Garry mused, “Maybe we’ve had enough platz.” Maybe hardy and sour is not us anymore. And maybe we don’t even know anymore what platz is. Back issues of Rhubarb are available for the price of postage. 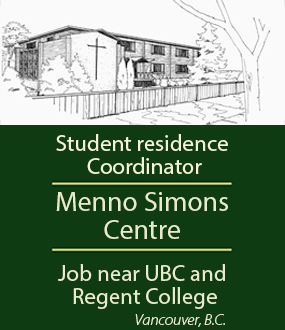 Contact mennoniteliterarysociety@gmail.com. Folks, we really need to clear out back issues of Rhubarb magazine! Schools, churches, libraries - anyone who wants multiples please get in touch - all you need is to cover shipping. Rhubarb is a seasonal dish. Best with strawberries. Perhaps the aesthetic that saw leaving the Mennonite Church as an artistic trajectory was good for a season, and then waned into oblivion. What Mennonite writers who wrote about exiting faith and community could never do is explain how this small group of quirky Frisians, Swiss and South German folks founded a Foodgrains bank, an MCC, and a MIDA, and an MDS. and mental health work, and a host of other practical ministries. That creative dynamic seems to have passed these wordsmiths by. We see what interests us. And our creatives seem to have pined for something beyond the good we seek to do collectively. And in the end, the creatives among us too easily sold a birthright, tarnished with some stains, for a pot of cold lentils and a cream gravy of post-modernity. And not a single poem of those who gave their lives for the cause of Christ.